In The Path of Modern Yoga, Elliott Goldberg shows how yoga was transformed from a sacred practice into a health and fitness regime for middle-class Indians in the early 20th century and then gradually transformed over the course of the 20th century into an embodied spiritual practice--a yoga for our times. Drawing on more than 10 years of research from rare primary sources as well as recent scholarship, Goldberg tells the sweeping story of modern yoga through the remarkable lives and accomplishments of 11 key figures: six Indian yogis (Sri Yogendra, Swami Kuvalayananda, S. Sundaram, T. Krishnamacharya, Swami Sivananda, and B. K. S. Iyengar), an Indian bodybuilder (K. V. Iyer), a rajah (Bhavanarao Pant Pratinidhi), an American-born journalist (Louise Morgan), an Indian diplomat (Apa Pant), and a Russian-born yogi trained in India (Indra Devi). The author places their achievements within the context of such Western trends as the physical culture movement, the commodification of exercise, militant nationalism, jazz age popular entertainment, the quest for youth and beauty, and 19th-century New Age religion. 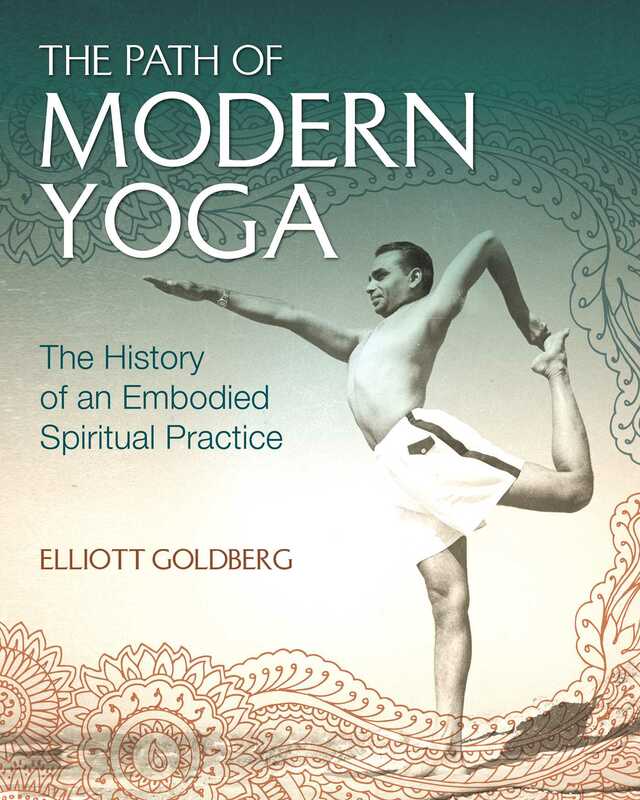 In chronicling how the transformation of yoga from sacred discipline to exercise program allowed for the creation of an embodied spiritual practice, Goldberg presents an original, authoritative, provocative, and illuminating interpretation of the history of modern yoga. Dedicated to the precise and dynamic performance of often challenging asanas, the hatha yoga developed by B. K. S. Iyengar seemed particularly ill-suited for being made into a spiritual practice, let alone into the eightfold path of liberation explicated by Patanjali in the Yoga Sutras. What made it the ripest form of late 20th-century hatha yoga to undergo a spiritual transformation, however, is exactly its emphasis on the performance of asanas, not on the benefits of asana practice to our lives outside the classroom--even such worthwhile benefits as acquiring good health, maintaining flexibility, relieving stress, becoming a better person or facilitating steadiness and ease in seated meditation. In The Tree of Yoga, Iyengar describes how a continuum of concentration on asana in samyama can be extended from dharana (single-pointed concentration) to dhyana (widened concentration) to samadhi (prolonged concentration). Concentration on the first stage of asana--placing the body in the preliminary position and then assuming the basic configuration that defines the pose--embodies dharana. Concentration on the second stage of asana--refining the pose through subtly adjusting the parts of the body that perfect the pose, then assessing and further adjusting the pose and lastly extending the pose--embodies dhyana. Concentration on the third stage of asana--dwelling within the pose--embodies samadhi. Paschimottanasana is commonly translated as Seated Forward Bend but is literally--and poetically--translated as the Stretching from the West Pose, from Paschima (west), uttan (stretch) and asana (posture). (Because prayers are traditionally observed facing east, the entire back of the body--from head to heels--faces west.) . . . According to Iyengar, after sitting on the floor with the legs stretched straight in front and putting the palms on the floor beside the hips, we begin Paschimottanasana proper by bending forward exclusively from the hips (the region around the joint that joins the pelvis with the upper part of the thighbone [femur]), not from the waist (the part of the trunk between the pelvis and ribs). . . .
Bending forward from the hips is an unnatural and difficult movement. Despite moving with gravity, the upper body, tipped far off its axis, must work mightily (with the assistance of the abdominal muscles) to internally support its straightness as it slowly progresses downward. This movement can be performed only with a great deal of strain. . . .
Respecting their limitations as well as recognizing their potential, Iyengar didn’t push students to the point of injury. He cautioned them that minutely moving toward perfection (in this case, folding the torso toward the legs) is more important than overreaching to achieve perfection. As practiced by Iyengar, Paschimottanasana is first refined by making adjustments to the feet, legs, trunk, arms, hands, neck, and head. . . .
Lastly, the pose is refined through extension. When [touching the knees with the nose and lips] becomes easy, make a further effort to grip the soles and rest the chin on the knees. When this also becomes easy, clasp the hands by interlocking the fingers and rest the chin on the shins beyond the knees. When [this position] becomes easy, grip the right palm with the left hand or the left palm with the right hand beyond the outstretched feet and keep the back concave. . . . [R]est the chin on the shins beyond the knees. If [this position] also becomes easy, hold the right wrist with the left hand or the left wrist with the right hand and rest the chin on the shins beyond the knees. An essential aspect of Iyengar yoga, extensions are performed until the final pose is achieved. In the absence of thought, the illusion of ego-identity is dissolved. The meditator (the “I”) and the object (the body in asana) are one. We are the pose. Elliott Goldberg is one of the few scholars in the emerging field of modern yoga studies. He has presented papers at the Modern Yoga Workshop at Cambridge University and at the American Academy of Religion (AAR). He lives in New York City. ". . . Goldberg traces yoga’s path from sacred ritual to physical exercise to embodied spiritual practice, yoga practitioners and scholars alike will be fascinated by these yogin pioneers and their colorful stories. Goldberg offers a vibrant and accessible study of yoga’s history, growth, and transformation." This lovely book traces the history of modern yoga (1920’s-2000’s) through the biographical stories of yoga students as well as the eleven Indian and Western yogis who spearheaded the popularity of yoga as a primary physical practice. An amazing amount of research and detail is effortlessly conveyed through the use of delightful and insightful storytelling of the lives of these fascinating yoga pioneers. The Path of Modern Yoga is an in-depth treatment of yoga with focus on some of the key figures who have shaped it. It is an interesting and scholarly approach to a well-researched topic that many yogis might have wondered about. It shows how postural yoga has become part of health and wellness culture today.